When the launch of the craft goes awry, the probe crashes back on Earth and begins carrying out its mission – eradicating all life. 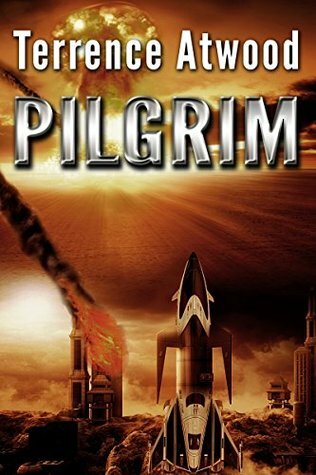 It’s up to Catherine Tennison, an intrepid NASA scientist, and Army Colonel Walt Macken to capture and disarm the probe before it brings about Armageddon. I've been having to read a lot of science fiction novels lately and I'm not sure how I feel about that. This one was okay, by far not my favorite but not awful. It was difficult for me to feel a connection with the book - I know that sounds weird. I usually like to feel some sort of connection with the characters but I felt none for any of them. There was absolutely no back story which I think is imperative for a good connection. It was a short, fast paced book that I read in an hour. Mostly because I hate not finishing a book more than anything. The characters that you should have felt something for , Catherine and Chad (at the beginning) , were dating and then became engaged but without the backstory it felt dry. I didn't feel like it was love because I didn't know them, I felt nothing for the couple. Then when "baby" killed him I didn't feel that overwhelming sadness from Catherine that should have been there. I know it's not a romance but if you're going to start painting that picture don't stop halfway and go one to something else. I think it was a little predictable, I mean - come on, a device built to move on it's own so that it wouldn't need multiple people controlling it developing a mind of it's own ... and going on a crazy killing spree. Who didn't see that coming? I guess I have just been reading too many sci-fi books lately, to know that was going to happen.